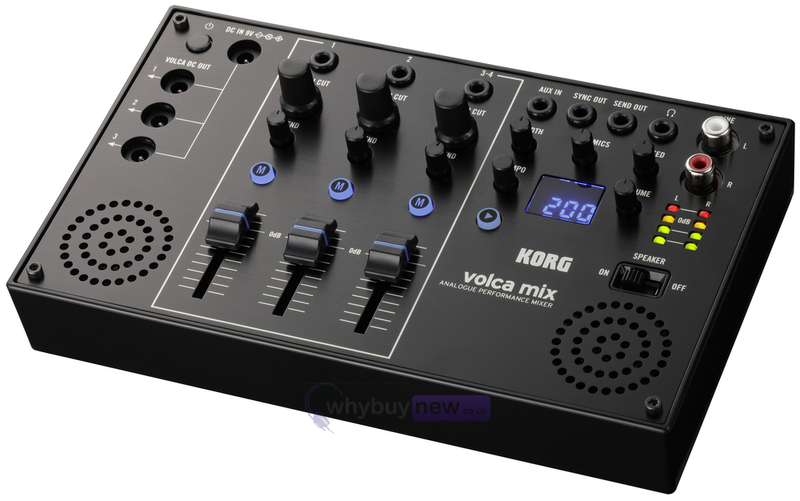 This is the Korg Volca Mix; the ultimate way to combine your Volca modules and make some epic music. 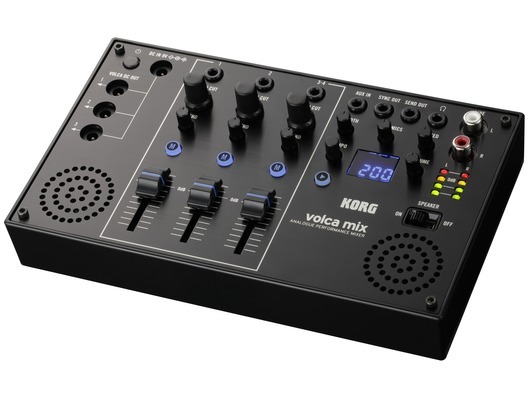 The Korg Volca Mix is a 4-channel analogue mixer with two mono inputs and one stereo input so you can easily link together your Volca Keys, Volca Bass and Volca Beats, plus the Volca Mix also comes with in-built stereo speakers, altogether making this powerful unit great for live performance and portable music-making. 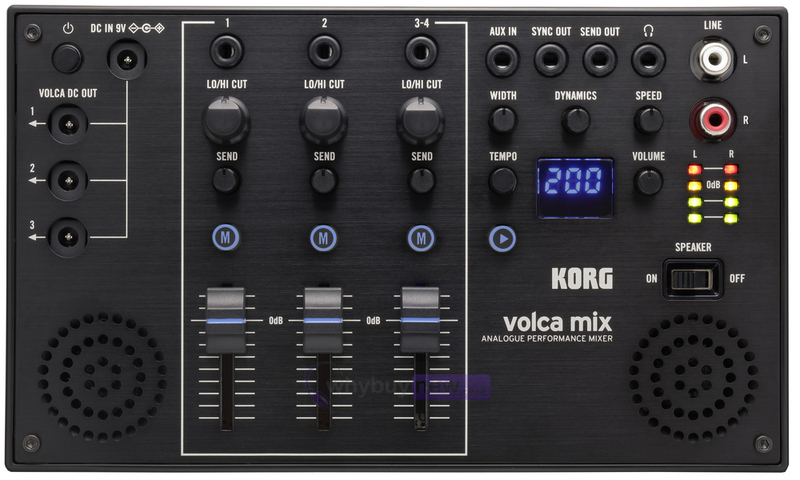 The Korg Volca Mix's faders, knobs and many inputs and outputs are all encased in an attractive black aluminium shell that is not only roadworthy but looks as smart and professional as any DJ mixer giving you a powerful on-stage presence. The output section provides RCA stereo line outputs to ensure stable connection. Theres a master volume with LED VU meter for adjusting the output level, as well as a headphone output that can be used simultaneously with the line output, providing a reliable monitoring environment on stage. Speakers are also built-in for excellent portability. The stereo speakers are placed at both sides of the front, and while compact, deliver SPL levels that are even greater than the built-in speakers on previous volca units. 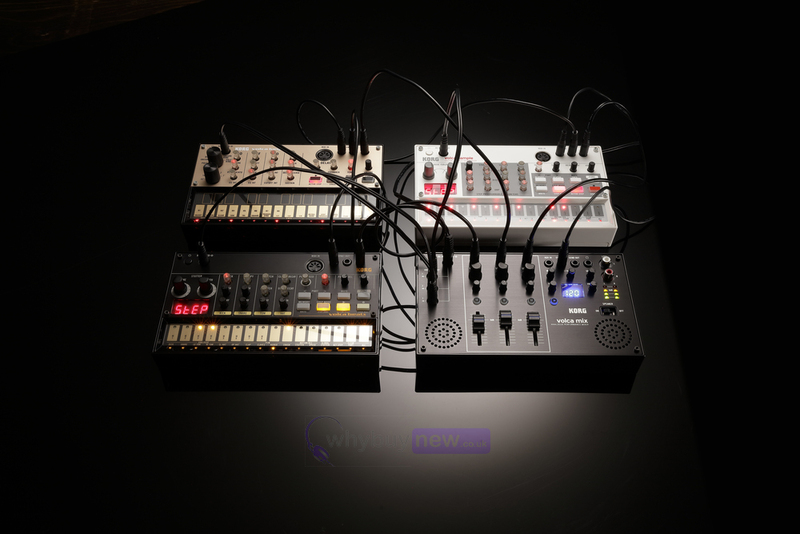 The volca mix is equipped with master effects powered by all-analog circuitry. In addition to an expander that broadens a mono source into a stereo sound image, theres a dynamic range compressor that compresses the high-frequency range according to level changes of the low-frequency region, as well as a side chain effect thats indispensable for dance music. Use these to dynamically vary the mix, adding a professional feel to live performances with the volca.